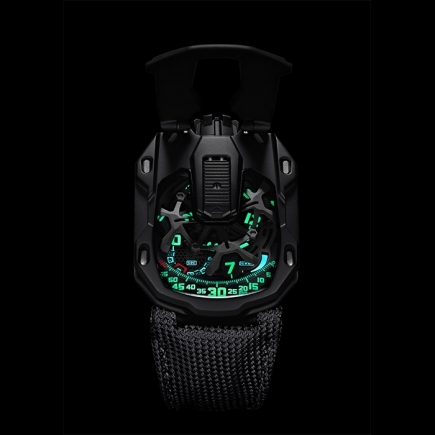 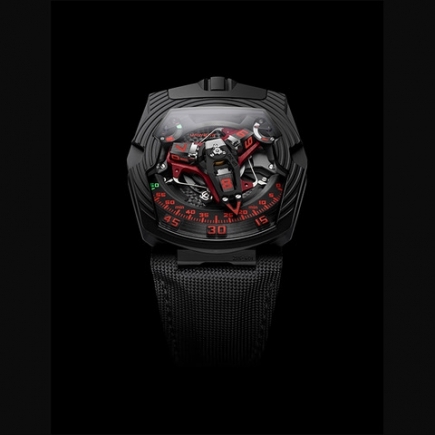 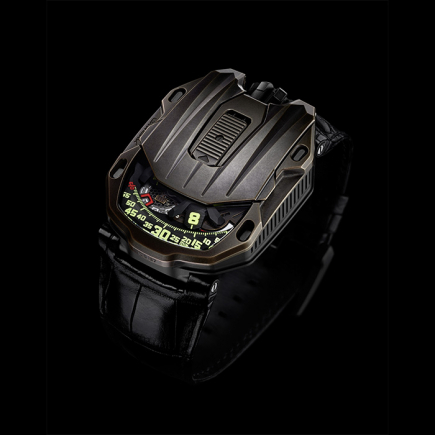 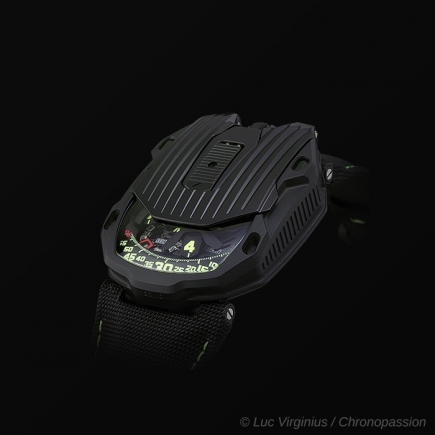 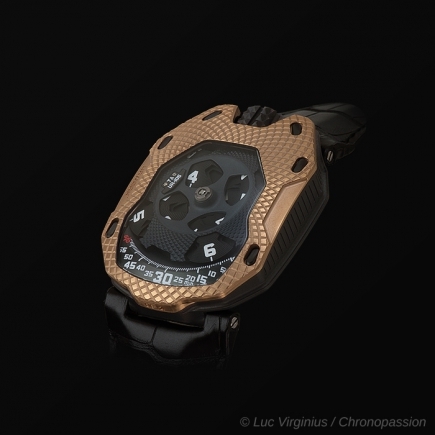 urwerk | 62'000 € Tax inc.
Urwerk’s latest addition to the UR103 collection has a few genetic codes borrowed from one of the most famous members of the world of arachnids: he Tarantula! 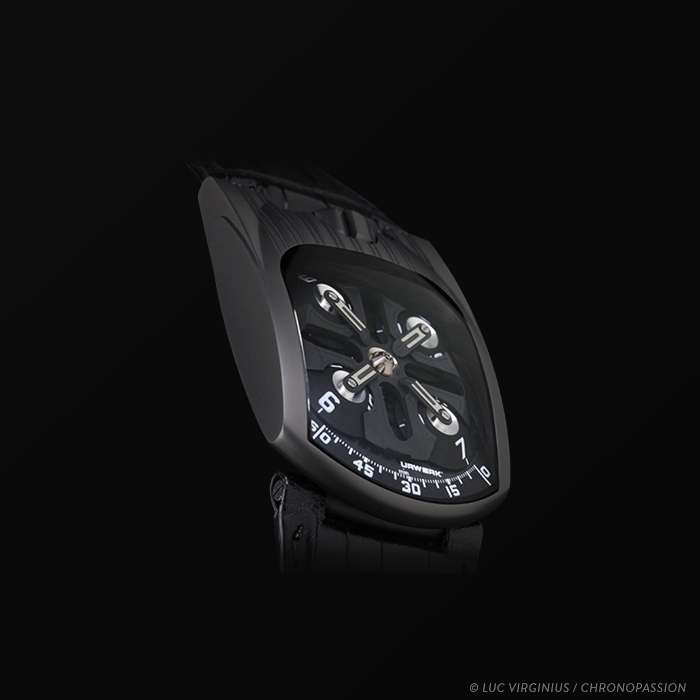 In the new UR103T, the titanium cross has been replaced by a completely redesigned structure in ARCAP, a very stable copper/nickel alloy. 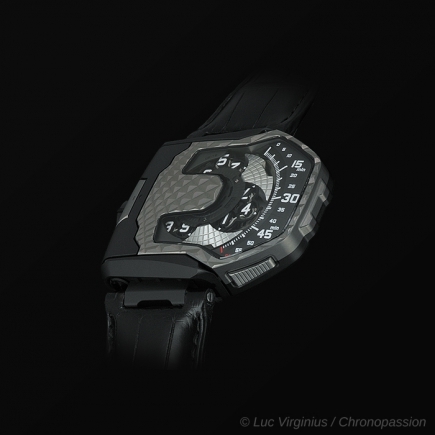 The dark ARCAP wraps around the hour satellites in a protective embrace. 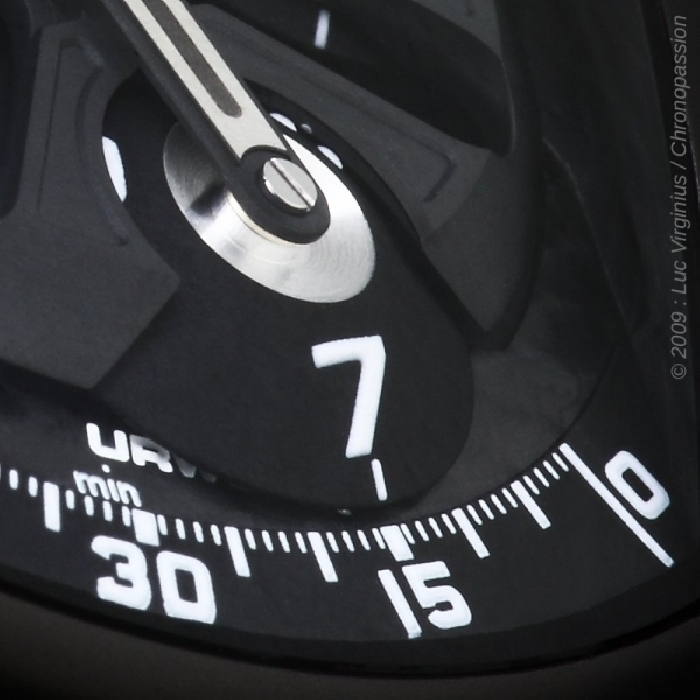 This new configuration ensures that the numbers on the hour satellites can only be seen when they are required to tell the time while passing the arc of the minutes. 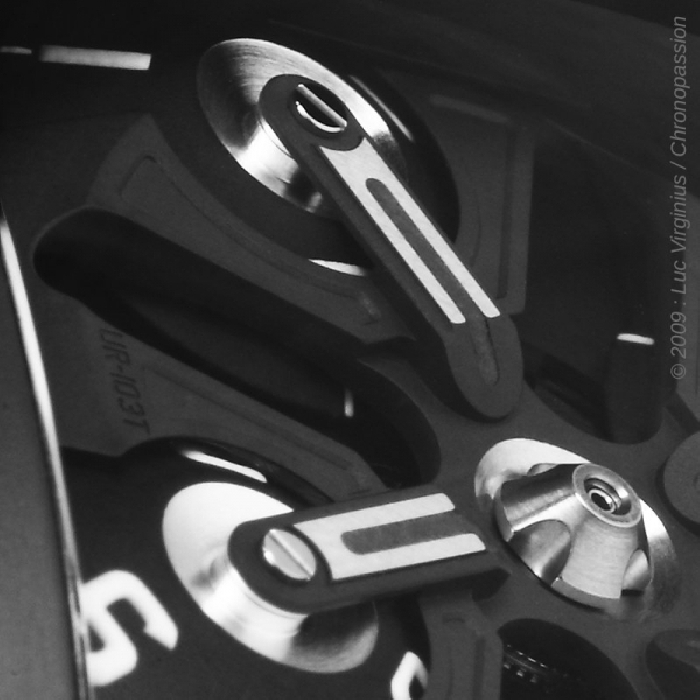 The actual mechanism for rotating the satellites has been completely modified on the UR103T. 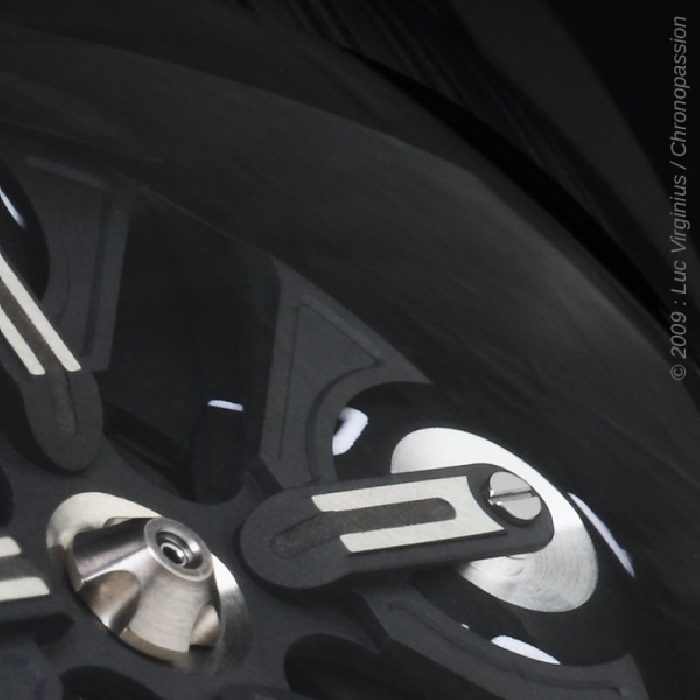 With this model the satellites rotate simultaneously behind the scenes in multiple stages, in preparation for their turn to indicate the time. 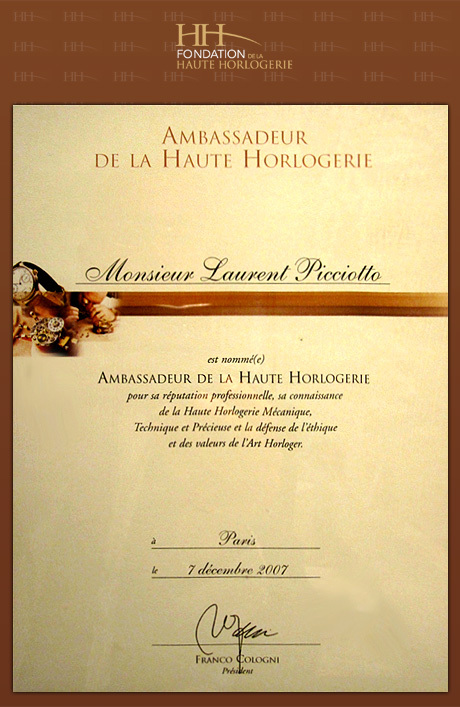 They actually perform a four-beat 480° pirouette. 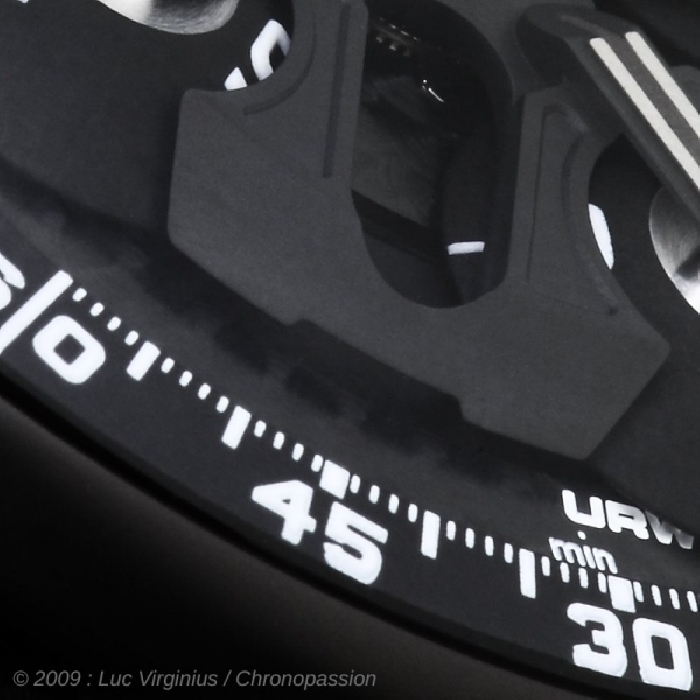 Each satellite turns four 120° turns in the period between leaving the minute arc and arriving again with a new numeral displaying. 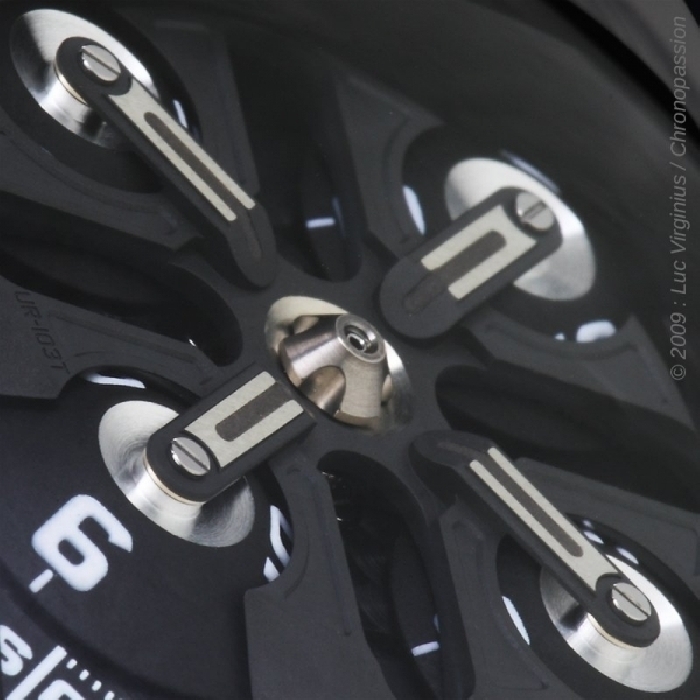 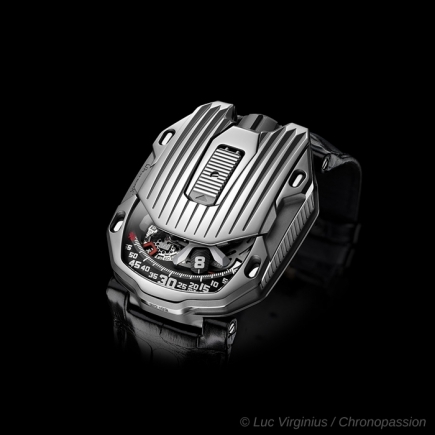 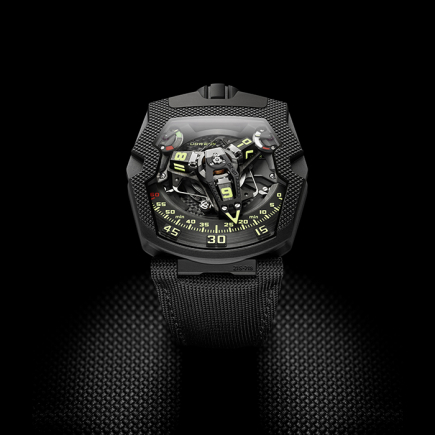 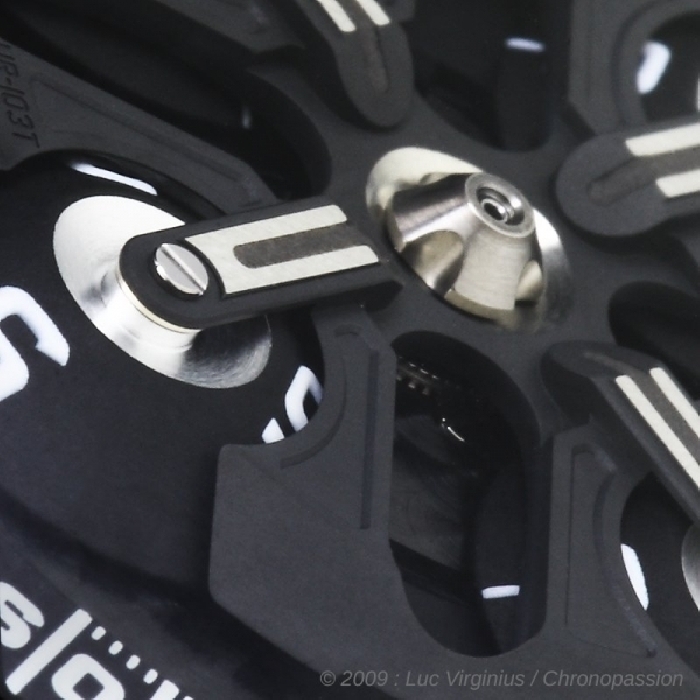 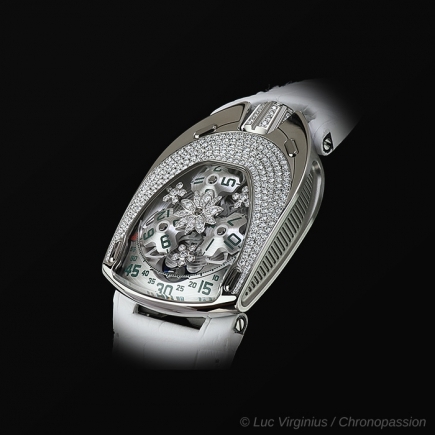 The orbital satellite complication is over 300 times heavier than traditional hands, a factor that requires absolute precision in the manufacture of its minuscule components, and in assembling, balancing and regulating the complication to obtain the excellent chronometric performance Urwerk demands of its exceptional timepieces.